As the weather has been kind and Croft Trail is running well, it has been decided to put on one last Trail Skills course for 2018, on Saturday 06 October. To book please go to the Trail Riding Skills page and complete the booking process. He explained the running order of the night and gave the apologies from the team behind Wroughton Pump Track as they were not able to attend, due to changes in circumstances. Kat thanked all for their involvement with the club this year and explained that whilst she had not be as heavily involved with riding, all of the feedback and comments from Facebook were positive and that the club still continued to provide a good level of rides. Unlike at last year’s AGM there has not been another members survey, the plan is to run it later in 2018 in line with when the original survey was launched in 2015 as this will be the three-year comparison survey. Keep an eye on your inboxes and social media for this later in the year. A graph of the various contact points with the club was presented, which showed that on the whole involvement with the club remained the same. 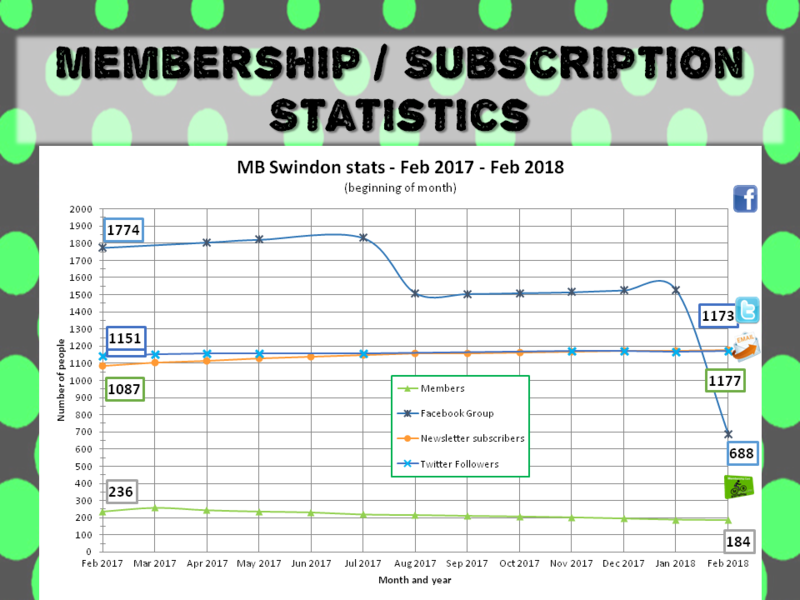 However she noted that the membership number had declined slightly, but this is partly attributable to there being more choice of cycling groups within Swindon. 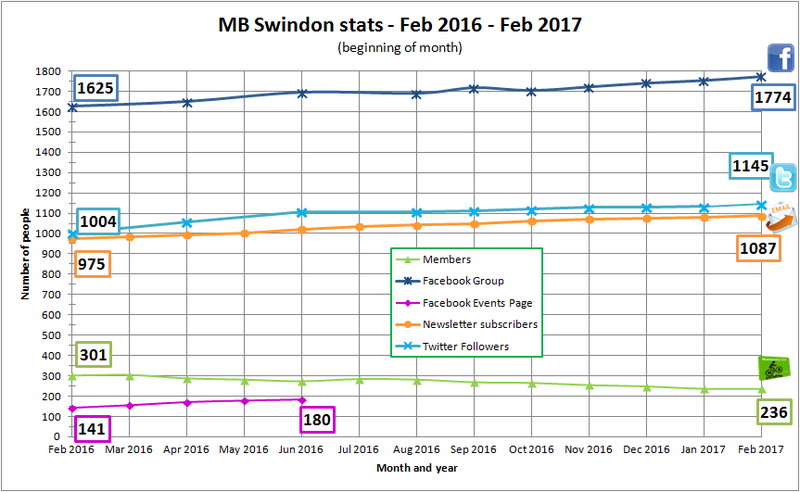 The major drop in numbers is within the Facebook group which was explained as due to the review of members, as discussed at last year’s AGM. It was felt that the group had become so large that it was of less benefit to the membership. The two drops in the graph are directly related to the points in time when the review was carried out. 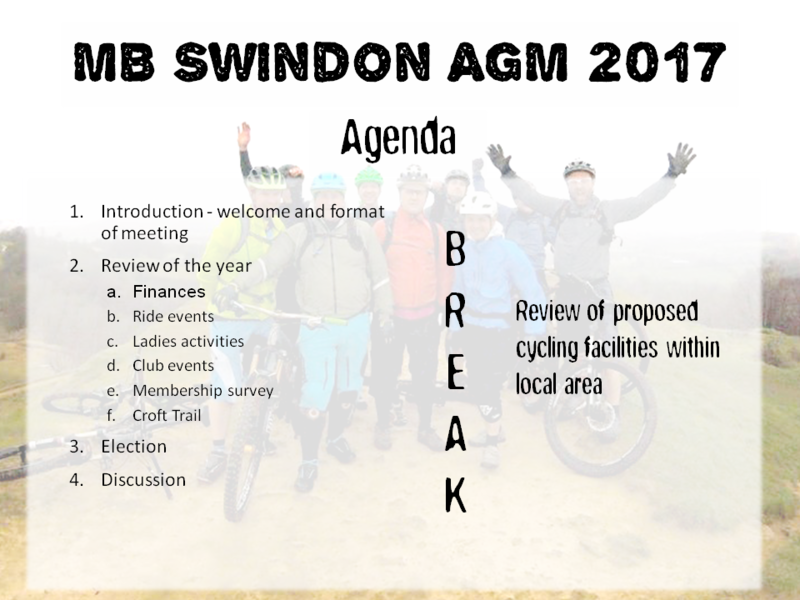 I t was reiterated, that the Facebook group has not been changed to members only due to the fact that it is for MB Swindon and The Croft Trail, plus it is also a good way to signpost people to the club and gain new members. A second graph showing the number of club riders attending the organised rides was presented. 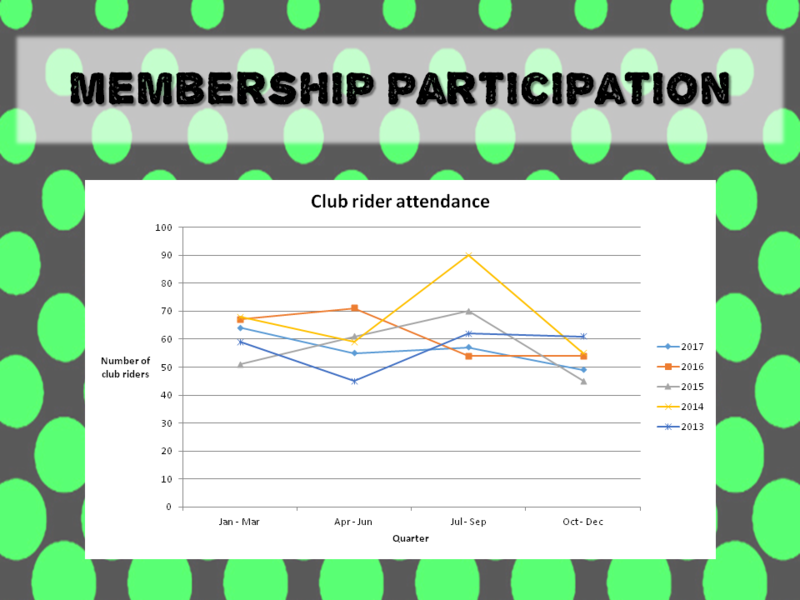 This showed that on the whole there are 70 – 90 members attending rides throughout the year, with dips within the year. The comparison of data from 2013 – 2017 shows that the level of participation has not greatly changed over that period. Q – How has the removal of members from the Facebook group been taken? A – Apart from a couple of mistakes, partly down to using out of date membership data there have been no comments or issues raised after this activity was carried out. It was noted that the way Facebook works means that if someone has stopped engaging with a group then it will be less likely to appear in the person’s newsfeed. This means that those who have stopped engaging may not realise that they are no longer part of the group. If people want to re-engage then they are more than welcome to, but will be required to answer the joining questions before being approved. Kat gave an overview of the accounts, on behalf of Jason (who had lost his voice due to illness). In 2017, the club took just over 180 membership fees, and £527.09 in training fees. Together these make the majority of the income (full details within the AGM presentation file). Kat explained that the reason the figures are not a nice round number is because of the fees payable to the service used to collect the money. This is used as it makes the administration of membership and training easier and reduces the amount of data the club holds. The major outgoing cost this year is for first aid training for the ride leaders, which means that should anything happen on a ride the ride leader should be equipped with the necessary skills to deal with it. Another major outlay is for Croft Trail, in part for the supply of the new notice board at the start of the trail. The admin costs are higher than normal, as the website hosting is a three-year upfront payment. Kat explained that the reason the club is affiliated to two bodies is that British Cycling is more in line with mountain biking but CTC, now operating as Cycling UK, offers better insurance for the club organised rides. This insurance offers third-party cover should an attendee have an incident, much like the third-party cover you can have for your car. Projections for 2018 are similar to previous years with no major expenditure expected. A donation to Wiltshire Air Ambulance has been made in recognition of the fact that should there be an incident on a club ride, their services may be required. Steffan started by thanking Rich Ford on helping him get started in the role which meant it was a smooth transition. He also thanked those who helped with posting events on to the website and Facebook group (Rafe, Kat, Rich). Having looked over the calendar, we have had a total of 91 rides over the 12 months which equates to two per week. There has also been two trail build days, support of Macmillan Castles Ride (sweepers and marshals), plus four training courses. A positive for this year is the addition of new ride leaders; Sonny, Chung and Andy who have been keeping the urban rides going over the winter. 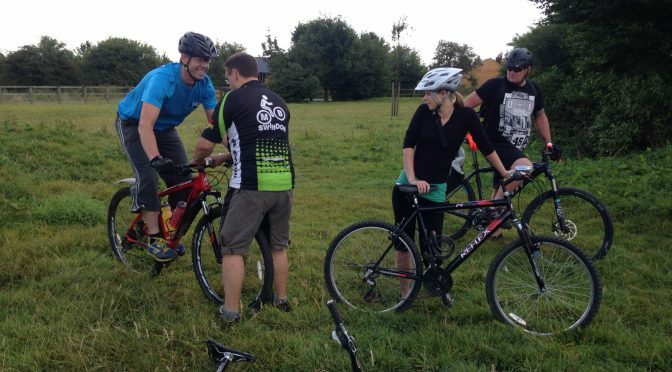 Steffan noted that the mid-week ride is something that happens every week and keeps the club in people’s mind; as an active club in the Swindon area. He also noted that we had Graham back on board, which increases the type of ride we have on offer. With only a month to go until the clocks go forward, so we will be back up on the Ridgeway midweek and Steffan hopes that the new ride leaders will stay on throughout the warmer months. The riders attending are fresher and more engaged with the club. The hope is that next year we will continue to offer similar to what we have done in 2017 to continue to engage the membership. One thing of note was that the local rides have become longer than in previous years, the count shows only 4 rides of 15 miles or less. This needs to be assessed, with a potential need provide more shorter rides. However with the uncertainty of the upcoming elections it is unclear whether we will have a dedicated person to organise the ladies’ rides, so we may need to look at new ways of working as a whole for arranging lead rides. Another key task is to investigate the need for first aid training of ride leaders in 2018, the majority of the current leaders attended the two first aid courses offered in 2017. With the recruitment of new leaders it may be beneficial to the club to run another course, but opening it up to members or other clubs to fill the course. Steffan plans to organise a ride leaders’ get together which will include a summer social ride out. Q – Agree that there has been a shift in the difficulty of rides offered, the increase in distance and the types of rides. A – Chris commented that there has been a general shift in cycling as a whole, when the club started out there were very few social cyclists doing century rides, but this appears to be a more frequent occurrence. Q – As a club should we still cater for new entrants into the club with the shorter distances? A – Yes, we need to ensure that we are able to bring in new members and help people enter into the sport. This is still seen as the best way to get people in. Debbie also commented that with the shorter rides it allows people to have the rest of the day free to do other things. Debbie gave an overview of the activities from 2017 stating that it had been a full calendar of events, with something every month. The female membership of the club has been maintained with on average between 33 and 39 members throughout the year (44 at the peak), with 26 of the ladies riding regularly. There have also been some ladies dibbing in on the rides, but they have not followed it up with joining the club. This year has seen the addition of two new ride leaders, Hilda-May and Kate, who leads her first ride in March. There has also been a focus on guest ride leaders, with Rafe’s Oxford ride being well attended. The ladies maintenance evening was well attended with 11 ladies attending the next stage session, which looked at the more complex items on maintenance. It’s unclear on how many of the ladies are now carrying out more of their own maintenance. Jo’s Dursley ride was short but jam packed with features, while Nikki’s ride is a super one for beginners. Hilda organised an ‘epic’ ride which was 36 hilly miles, it was advertised as such and 10 ladies attended with the feedback being that it was enjoyable. There has also been rides in Swinley, care of Ania’s local knowledge; Afan. thanks to Hilda. The year was ended with Debbie arranging a ladies gathering at Forest of Dean (FoD), which started small but snowballed after contacting 17 ride leaders across clubs in the area. The weather was unkind in the lead up to the event, with green trail being closed so the focus of the ride changed slightly. Nevertheless, 77 ladies turned up taking in the blue trail in the morning followed by food provided specially for them by the cafe at the centre. The attendance at this event shows how many lady riders there are with some travelling from Surrey Hill, Kent and Taunton to attend. For 2018 there are a couple of rides already in the calendar, but with Debbie stepping down it will be up to the successor to continue with the promotion and organisation of ladies rides. Debbie thanked all those who have helped make her term in office so successful and said that she will miss some parts of the role, but now is the time to let someone else take the reins. Kat thanked Debbie for all her hard work whilst in post and acknowledge that Debbie has put her life and soul into the role and now is the time to step away whilst on such a high. Chris informed the room that the work on the trail in 2017 started with a continuation of the 2016 work, which rather than designated build weekends consisted of regular Friday evening build sessions. These did not bring many volunteers to join the core team. However in mid-June, due to changes in circumstances the Friday build sessions were stopped. This meant that no new lines have been developed, although the room available for building is running out. There was discussions about rejigging the existing lines and adding a new optional line but this has not been done. Q – Could the club pay someone to maintain the woodwork? A – The projected cost of this predicts that the club funds would quickly be used up if this was done. Chris reiterated previous conversations around the benefits of the woodwork, providing a unique selling point for the trail. He also raised that there is not much scope to develop other features in the section due to the restricted access routes. Whilst there has been recent deterioration to the woodwork, some of it dates back to 2010 and is only now getting replaced. This indicates that it could last up to another seven years. Q – Could something along the lines of the Yer Tiz graded skills sections be created at the trail? A – This was the initial thinking for redeveloping the first red optional section, however the use of the trail for the Hargroves Demo Day forced the opening of the section. At present the woodwork is in a reasonable state, there are no plans to remove it but it does raise the question around when it does deteriorate, what should replace it. Chris was keen to promote the fact that Croft Trail is there, it continues to be there and it gets well used both by the club and by the local community. If you go down on a nice day, you will see lots of different people using the trail including the younger generation either on their own or as part of a family outing. As such the club should be proud to be providing such a well used facility. 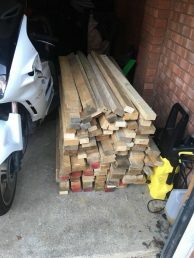 Q – Would it be better to have build weekends, say two-three times a year to get a blast of input in, especially for the woodwork repairs / replacement? A – This would possibly help, but we will have to wait and see what the results of the upcoming elections. Back in 2010-2012 there was a high level of input into developing the trail with build days starting at around 9am until it went dark, on both Saturdays and Sundays. As the trail is in a more ‘finished’ state it may be that it could be a one day per build weekend rather than the whole weekend. This could also bring in a social side where we have a BBQ and get to know one another off the bikes. A comment from the floor was that the trail was great to have, as without a circle of friends in the mountain biking sphere it facilitated the meeting of like-minded people. They would like to see more of the trail used in club rides, as they would like to ride it with other people. They would also be interested in helping with the maintenance of the trail. Q – As part of the membership survey should there be a question about the use of the trail? Also could we find out when people would like to have a regular meet at the trail. A – Yes we can review the questions asked and make sure the trail and its use is covered. Kat oversaw the election of the available Committee positions. Of the 17 attendees at the meeting, only 16 were eligible to vote. No nomination was received in advance of the meeting, or from the floor during the meeting. As such Jason Rodger volunteered to take on the role in an interim capacity until a suitable replacement could be found. No nomination was received in advance of the meeting, or from the floor during the meeting. Tom Scott said he was more than happy to help with organising ad hoc events, but he did not want to be part of the Committee. This was noted and thanks was given for his organising efforts to date. Q – For the Chairperson role, what is the level of responsibility and commitment required? A – Chris explained that he had tried to reduce the administrative overhead of the role whilst in post, and as the club is more established it did not require the same level of effort as required in the earlier days of the club. After the result of the election, Jason was keen to comment that the club may not be able to continue as it is with only three Committee members. There may need to be changes which will be discussed by the Committee in due course. Chris reiterated an earlier point that he is not concerned about the dip in membership numbers as it is more controlled. There are more clubs in the area, which offers more choice to riders. However, he also noted that the majority of the people in the room have been involved with the club from 2012 onwards with only two new faces from 2016/17. For a lot of people, Croft Trail and MB Swindon has always been there as they are relatively new to them. As such, they have not seen all the input and effort that has gone in to creating the facility and club. Q – Are there any plans to offer an additional level of training course from the club? A – Pete, one of the instructors, said that in order to run the next level of training you really needed to be doing it frequently so as to maintain the level of skill required. As a volunteer, this is not possible and so he did not feel it appropriate to be running these types of courses. Nor is it viable for the club to offer. Q – Could we arrange for external trainers to run local sessions for the club? A – The terrain available locally doesn’t lend itself well to the types of courses discussed. The training providers often have dedicated training features and routes to allow them to instruct the skills. We will look in to whether we can arrange a club specific session with some of these providers and get a discounted rate on their public prices. After the meeting had finished, but before attendees had dispersed Jerome Crametz came forward for the Social Events Officer role. As all the attendees were still in the room Kat called their attention and informed them of this, a vote was taken and all within the room voted in favour of Jerome taking the position. As such Jerome was voted on to the Committee. As a club we rely on volunteers to make things happen, this starts with the members of the Committee and continues with the ride leaders, the web admins and other ad hoc roles. People giving up their time to provide services to you. The sad time has come when we say goodbye to two members of the Committee, they have served us well but for their own reasons it is now time to step down. Plus we have an unfilled vacancy. Full details on this on the 2018 Annual General Meeting (AGM) page. We need new blood to further develop the club and Croft Trail so we are asking you to consider if you have any skills that will help move the club forward. Could you be the next Chairperson, Ladies Officer or Social Events Officer? Do you have skills to help with trail building and maintenance? Are you skilled in communication, marketing and promotion? Would you like to share your story with other members? If you have skills you would like to share with the club please let us know using the Volunteer with the Club form. Since it’s founding in February 2010 MB Swindon has provided a focal point for mountain bikers in Swindon and beyond. The club is one of the first newer cycle clubs in the Swindon area and its ethos can be seen filtering through into other clubs. It would be a shame for it to be lost amongst the crowd, so please consider if you can help. Jason gave an overview of the accounts stating that it has been a hard year for the club with the loss of the Hargroves sponsorship, however without the race team to support there are lower outgoings and so we are back to a balance. In 2016, the club took just over 230 membership fees, and £625 in training fees. Together these make the majority of the income (full details within the AGM presentation file). The outgoing costs are mainly for administration this year, with the costs for Croft Trail being lower than previous years as the focus has been on maintenance. The machinery purchased last year required servicing and a new leaf blower was purchased to make clearing the autumn leaf fall easier. There are still shirts in stock, available from the website. Looking forward to 2017 the club is looking at additional merchandise offerings with the potential for a long sleeved shirt and the previously popular travel mug. 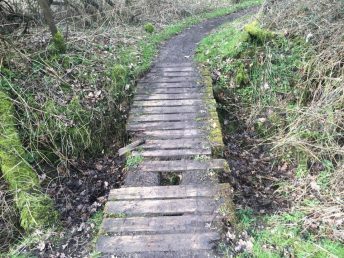 There is also a requirement from Swindon Borough Council to source insurance for trail building activities, which is currently being investigated. A major expenditure for 2017 will be the provision of first aid training for the ride leaders, this will be an advanced 2-day course covering outdoor activities to ensure they are suitable trained in the event of an incident on a ride. There will also be a 1-day course for those leading rides closer to populated areas, this course has some additional spaces which will be offered to members at a discounted rate. A brush cutter will be purchased to help with trail maintenance, as it is more effective than a strimmer at clearing the nettles and thistles in the summer months. With these expenditures there is a projection of a slight loss, however the first aid training is a 3 year cycle which has been accrued for rather than a yearly outgoing. Q – There’s no mention of auditing costs, how is this being done? A – There is no formal cost for this as it is being reviewed by an independent person rather than a formal audit, but there may be a small gesture to thank them for their time. Richard thanked Tom Scott and Michael Duller for stepping up and running the mid-week rides. A big thank you was also given to all the ride leaders and tail gunners, as without them the rides would not run. They are the true ambassadors of the club. Q – Who are the ride leaders? A – They are all listed on the website, on the club staff page. December – Debbie and Kat hosted the Mulled Wine and Minces Pies event at Croft Trail. Since last year’s ladies forum a messenger system has been implemented and been very successful in keeping ladies informed of what’s coming up and who else will be attending. Rather than another face-to-face forum, an online forum was held where opinion was sought from the female membership and covered the types of rides available and what they wanted. Debbie thanked the 4 ride leaders in the team and for helping her to fill the diary with rides for the ladies. The club lost its Social Events Secretary, Sharon Yeates in July/August 2016, due to other pressures on her time. They thanked her for her contributions and informed the room that no-one had come forward in the interim to replace her. It is hoped that the 2017 Hargoves Demo Day won’t be in May and that other shops in the area will get involved in the day to increase the offering of bikes to demo. It is expected to be more of a family orientated event in June/July but nothing is confirmed. The Swindon CycleFest was a good event and there are hopes that the 2017 one will be even better, but details are still being discussed about its format. The Christmas event at the trail was well attended and it was surprising that 2 people who attended didn’t know about the trail. She then gave an overview of the findings from the recent club membership survey, which was open for 11 days in February 2017. It was noted that the survey was open for a much shorter time period than the previous survey (ran in Spring 2015) but it a high uptake with 67 completing it (86 completing in 2015). The key points covered are available within the AGM presentation file, this includes some quotes from participants about the positives of the club and an overview of what the club does well and what it could do to improve. The committee noted that with the departure of the Social Events Officer that the social / non-bike riding side of the club has been somewhat neglected and it is hoped that with the elections for Committee positions that this can be addressed with a new post holder. On the matter of communicating club events, there will be a review of the membership within the Facebook group as the size of the group is restricting the functionality available for inviting and sharing events. The club newsletter is also under review so as to decide what is the best approach to communicating with the membership. Q – Will the survey be run again next year? A – Yes, we agreed to run the survey every 3 years but decided it was worthwhile to get a quick gauge of how the membership felt at this point also. The 2018 survey will focus on the same aspects but will be open at the same time and for the same duration as the 2015 survey so as to get a better comparison of answers. As an aside, Chris wanted to raise the reason for having membership and paperwork associated with attending rides organised by the club. In light of the recent court case against an instructor, it is even more important that members are aware of the risks of the activity they are participating in. The club has insurance for ride leaders through its affiliation with the national bodies and they attend a yearly meeting to ensure the best practices are being utilised. Chris reminded those present that the club exists for Croft Trail, the membership fees collected pay for the maintenance and upkeep of the trail. As such, the emphasis is still to provide this community facility for the residents of Swindon. 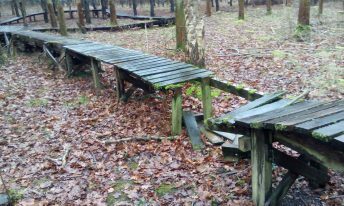 This year has seen the development of a new line where the first section of woodwork was removed, due to the wood beginning to rot. At the moment, it is prone to becoming a slushy mess but this will be worked on at the next build session. In 2015 building sessions were started on a Friday evening as the core group of builders were able to work then. This also meant that they could still ride at the weekends. These sessions were more informal than the previous build weekends but Chris would post up on Facebook about where they would be, should anyone want to join them. For 2017, there will be some surfacing work and improvements to some of the lines to make them work better. The very first section of the trail will be remodelled and smoothed out as it hasn’t had much work on it since its initial creation some years ago. A new line will be developed near the log roll on Pipers Hill and tweaking to the new swooping line. The aim has always to use as much of the land as available, and with the recent additions there is not much room to develop the trail further. The recent improvements have been to add optional lines so that you don’t have to use the same lines of each lap. There is some remedial work required to address some of the surfacing issues, this is classed as ongoing maintenance but the costs of these are reducing each year. Back in 2010 the trail was barely rideable in the winter months, whereas now it is pretty much an all-year facility. Chris finished by saying that for the size of the land it has a lot squeezed into it, with no real complaints from the people who use it and many people enjoying it. In April 2017 the trail will be 9 years old and it really is a community facility, built by the community for the community. 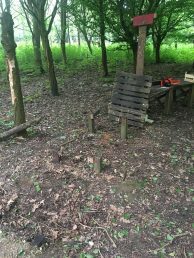 Q – What is the situation with the dirt jumps area? A – Originally there was some building happening within Croft Woods and the Council wanted to move these activities away from the area, so allowed the building within Croft Country Park. There have been several different groups take on the area, but there is no link with the club. 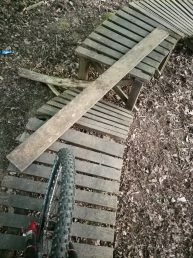 A few years ago, the trail was slightly re-routed to move it away from the dirt jump area so as to separate the two activities. In the last few years it has been a few young lads working on the jumps, but it has been somewhat inconsistent. More recently a newer group have taken it on and appear to be doing some good work on improving it. However, in the winter months it hasn’t developed as much. The club still remains separate to this, but are supportive of the group moving it forward. 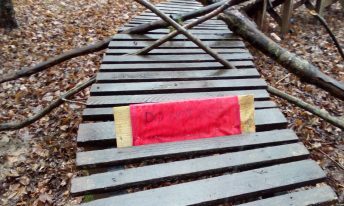 Q – What is the situation with trail signage, as there appears to be some critical markers missing? A – It is currently being reviewed, with the hope that improvements can be made at the upcoming build weekend. The stash of signs and marker discs have been found, so shouldn’t be too difficult to implement. Kat oversaw the election of the available Committee positions in line with the amendment to the Club Constitution voted in the previous section. Due to this result, it was noted that should club members have ideas for social events that they could lead on single events with the support of the elected committee. Michael Duller thanked the club for the support he has received in becoming a ride leader. It was noted that at the last AGM there was a presentation on Badbury Hill development, from Nick Walmsley, Programme Manager, National Trust Headquarters. Since then there has been no further discussion from either the National Trust or British Cycling. Having looked at the National Trust website, there appears to be no update on the plans to develop a cycling facility on the site. Looking at the local planning application site, there has been some objections to the development for a variety of reasons. The major concern appears to be around the access to the site and the fact that the road infrastructure would not support the increase in traffic to the site. Should there be any further updates to this development, they will be communicated as appropriate. 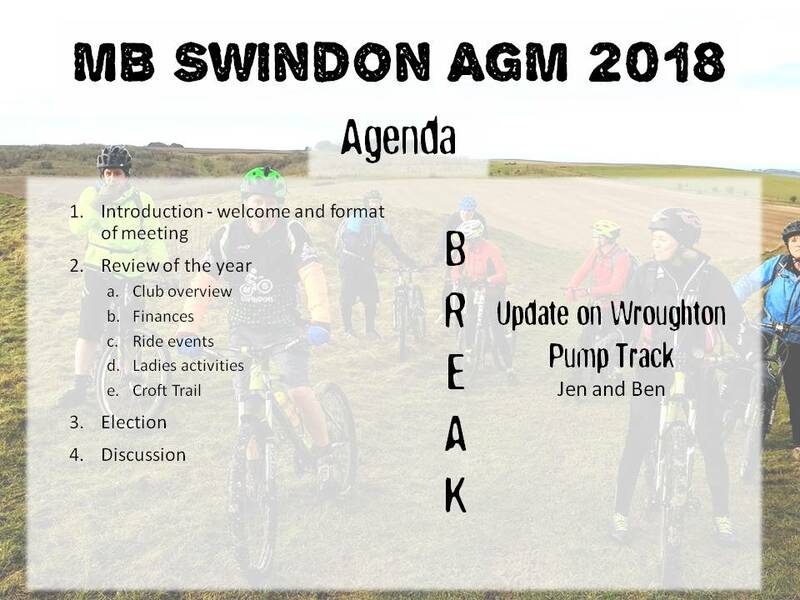 The club was approached just over a year ago about being involved in a proposal to develop a pump track within the village of Wroughton by an individual who had started making enquiries with the Parish Council. Since then discussions have taken place around how this might work and it was decided that due to the nature of the development that a separate group should be created to manage this. The club has been supportive along the way and has provided guidance on the process of setting up a club and tips about applying for funding, alongside the support offered by British Cycling. The site of the development has been agreed by Wroughton Parish Council and will be in the recreation ground off Maunsell Way. MB Swindon continues to support this development and will promote the activities of the group BMX Wroughton who are overseeing the project. The club was approached a couple of years ago by Swindon Borough Council about the potential to redevelop the Par 3 Golf Course site at Moredon into a cycling hub. Since then there have been meetings taking place to discuss the possibilities for the site, with the future looking like a multi-sport facility with the provision of a closed road circuit. The club has continued to be engaged with these discussions and whilst not of direct interest to the club demographic, the addition of another cycling facility within the town can only be seen as a good thing. Q – What’s happening with race events? A – Within the membership there has been drop in interest in these types of events. In 2016 we tried to focus on 4 events, but due to low interest from within the club and the wider mountain biking community this type of event has seen a decline. Q – There’s been talk of a big yearly event for the club, what’s happening on that front? A – Discussions have been had and ideas formed, with the proposal of doing a navigational type event – an MB Swindon Treasure Hunt. The aim to pilot it with club members first and then opening it up to a wider audience. Chris re-iterated that the focus of the club should be on the trail, as this was the reason for founding the club. He wants to see more use of the trail for club activities as it is the unique selling point for the club. The response from the room was mixed with the majority of those present joining the club to attend the rides and whilst they appreciate the trail, not all use it regularly. Q – Why has there been a change to the approach to trail building? It now seems that there is a lack of inclusivity in the trail building sessions. A – As mentioned in the review of Croft Trail within the main section of the AGM, the core team of builders have better availability on a Friday night and can better accommodate shorter sessions over a full weekend of building. The sessions have been advertised and there are still some weekend sessions being carried out. Q – What has happened to Friday night rides? A – Due to changes in availability and other commitments, the attendance at the previously popular Friday nights at the trail dwindled. 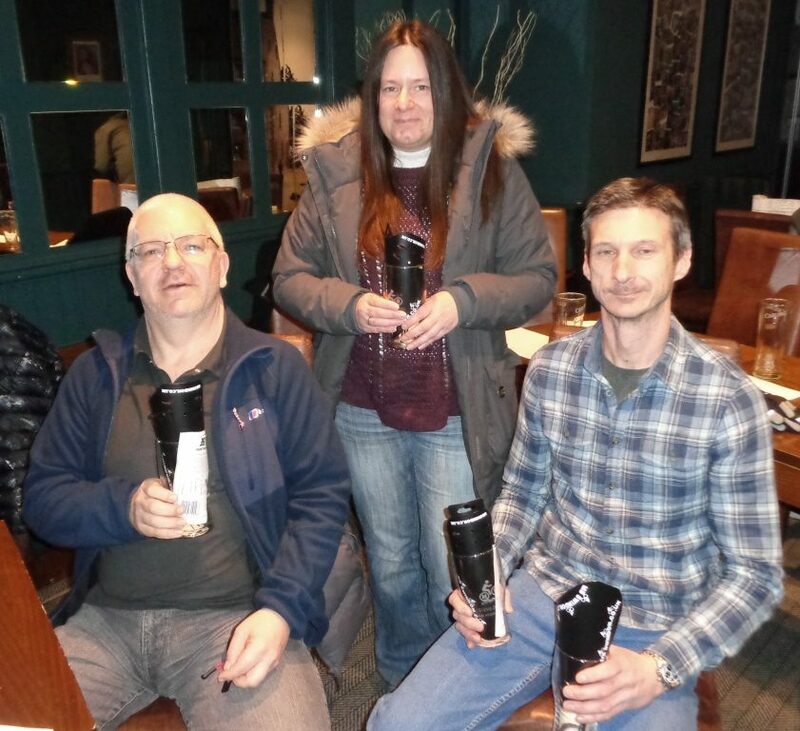 A change of format was taken to make it a more social affair with a fire and brew, but the attendance did not change. Advertising of these evenings was therefore removed and those few regulars moved their focus to trail building activities. Blimey, it’s March already. 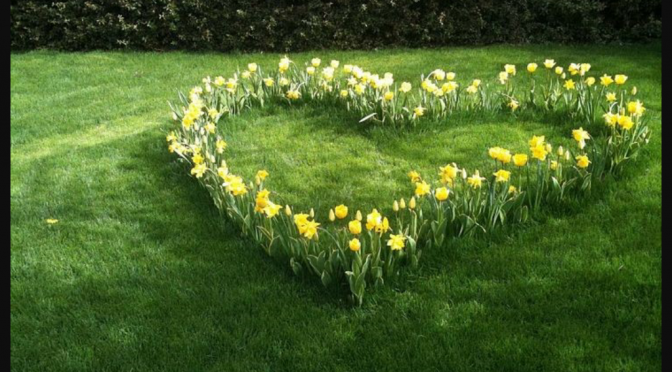 Seems like only last week we were down at Croft Trail eating mince pies and drinking mulled wine, before you know it the daffodils alongside Great Western Way that spell out ‘Spring has Sprung’ will be up and dusty trails will be the norm. It might not seem like it just now but Spring is well and truly on its way and it’s probably time you gave that bike of yours a bit of TLC! It can be a costly business keeping things rolling along smoothly after winter, to help you out we have a range of discounts for our club members. Local bike shop Hargroves offer 12.5% discount on all non sale items throughout the store. Aswell as that there’s the ever popular BOGOF offer on inner tubes and buy one get one half price on Specialized tyres. If you’re a little further away from Sunny Swindon we also have discounts at Noah’s Ark, PedalABikeAway, Ride 24/7 and Leisure Lakes. 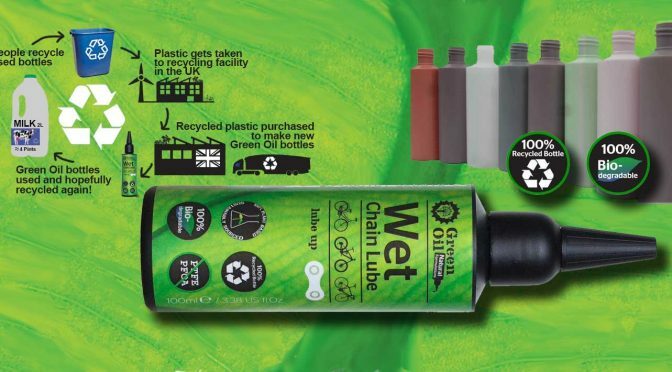 We also have 20% off on orders over £10 from Fibrax for quality, British made brake pads, cables and spares plus 20% off a range of eco friendly lubes and cleaning fluids from Green Oil. If you’d like to give your riding wardrobe a bit of a Springtime freshen up we still have our club jerseys available and also have discounts from Broken Riders and Whackjob for ethically sourced riding wear aswell as a range of Tees and hoodies for off the bike wear in our club spreadshirt shop. There’s also discounts with Cotswold outdoor and Go Outdoors for any of your general outdoors equipment needs. Full details of all of these discounts plus a few more can be found on the ‘club’ or ‘ members only’ pages of the website. Check them out and get ready for Spring.